This product gets a Desperation Morale CONSUMER ALERT. The first thing you can be sure of is that it is unlikely to actually be released annually–if there indeed is ever a second issue (Critical Hit has had a history of starting “series” that never survived past item #1 in the series). Well, we were right and we were wrong. The next issue of CH Annual actually occurred in the same year as the first issue–2015–rendering it distinctly un-annualish. On the other hand, Critical Hit actually did get a second issue out, making it the relatively rare CH “series” product to go past #1. However, once one examines CH Annual Issue 2 (hereinafter CHA2), it becomes more understandable how a second issue was able to come out relatively quickly. CHA1 was basically a compilation of various odds and ends from the back of the CH file cabinets; CHA2 clearly is as well. CHA2 takes the format of a 48-page magazine, but actual magazine content is rather thin. As with the first issue, CH principal Ray Tapio took various e-mails sent to him and published him in the Annual as “letters to the editor” (something that anybody thinking of e-mailing them should keep in mind). 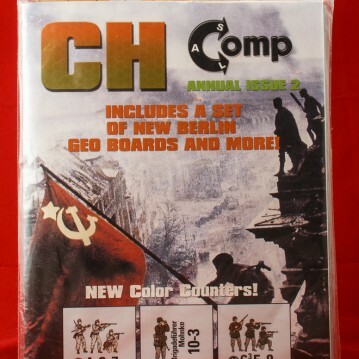 The only “articles” in the magazine are two separate write-ups of the same playing of CH’s Berlin modules at a Texas tournament. The rest of the publication is taken up by scenarios and rules (see below). It should be noted that the physical quality of the magazine is relatively poor. Though it is in color, there is a swathe of ink smudge that runs across every page at about the same place (clearly a problem with the printing press). Most of the product’s content centers on Berlin, thanks to the popularity of Critical Hit’s two variously-titled Berlin historical modules (they have gone through so many name changes that even Critical Hit now refers to them as the “Berlin modules” or generically as Berlin 1 and Berlin 2). Though large and complex and never quite fully developed, the Berlin modules have an attraction for certain ASLers, thanks in no small part to the large and interesting historical maps. The first bit of Berlin content is a new campaign game that uses both Berlin 1 and Berlin 2 and is more extensive than the the previous combo campaign game, CGIV (The Downfall). 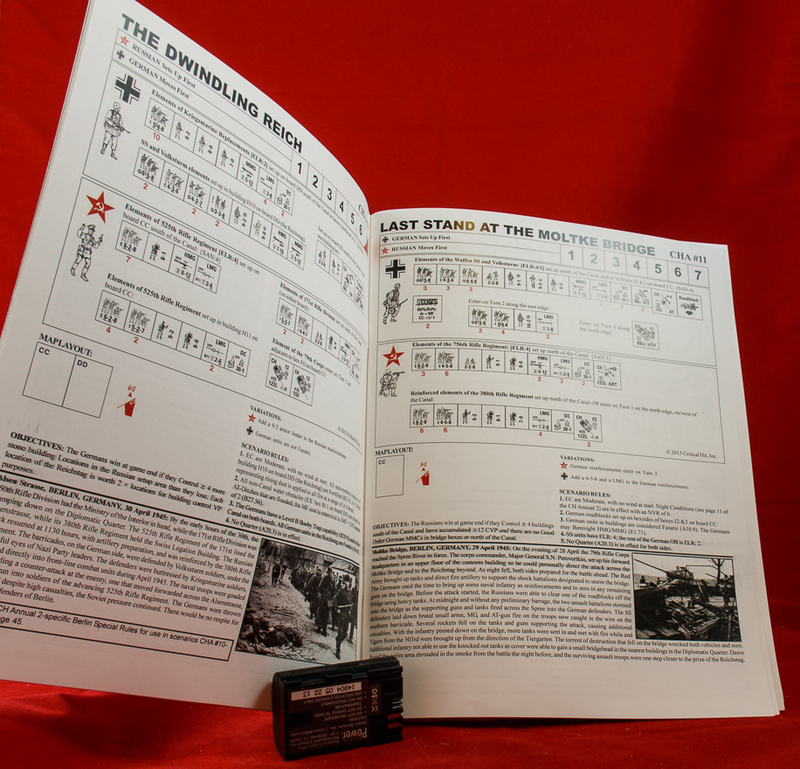 The first editions of both Berlin modules each contained two campaign games, but those were stripped from subsequent releases for unknown reasons. The new campaign game is called CGV Sector Z, which is not very catchy. This campaign game is credited in the magazine to Edo Benvento, which raises questions about its nature and provenance. Edo, a long-time fan of campaign games and defender of Critical Hit, was working on a big Berlin campaign game for Critical Hit but in 2014 finally had enough of Critical Hit and broke with them (saying “that bridge with CH was not merely burned, it was blown apart.” So did Edo have a change of heart, finish a campaign game, and allow Critical Hit to print it in CHA2? Or did Ray Tapio publish an unfinished version of the campaign game materials? Everything is murky. The second part of the Berlin bonanza is a large SASL (i.e., Solitaire ASL) project using the Berlin components created by Jörgen Holmquist, a Swedish ASLer and long-time fan of SASL. Ray Tapio includes a disclaimer, “Jorgen [sic] continues to develop his solo rules…Needless to say, this material is considered experimental, with a mutual interest assumed; it is not for those needing hand-holding, but instead for the curious, desiring a framework to game the Battle of Berlin.” This is basically Rayspeak for “I did not develop or playtest these rules, so you are on your own.” Desperation Morale contacted Holmquist to learn more and discovered that the SASL materials sent to Ray were not a finished product: they were incomplete and needed more work and testing. Moreover, Ray Tapio did not consult with Holmquist before publishing the unfinished project. The premature publication of these Berlin SASL materials is certainly unfortunate, because they seem like an interesting project. 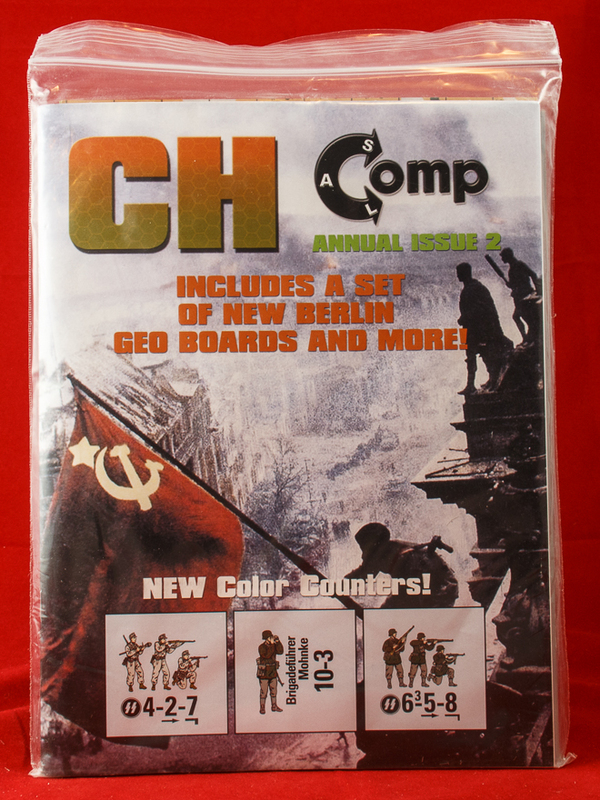 They include of 5 different campaign games: BFDCG-1 (Götterdämmerung in Berlin), BFDCG-2 (Race to the Reichstag), BFDCG-3 (In the Ruins of the Reich), BFDCG-4 (The Downfall) and BFDCG-5 (Sector Z). The project also includes 5 missions: BFDX1 (Until the Bitter End), BFDX2 (Counterattack in the Embassy Ruins), BFDX3 (Desperate Resistance in the Moabit District), BFDX4 (Among the Ruins), and BFDX5 (The Downfall). This should be a warning to anybody thinking about possibly working with Critical Hit. 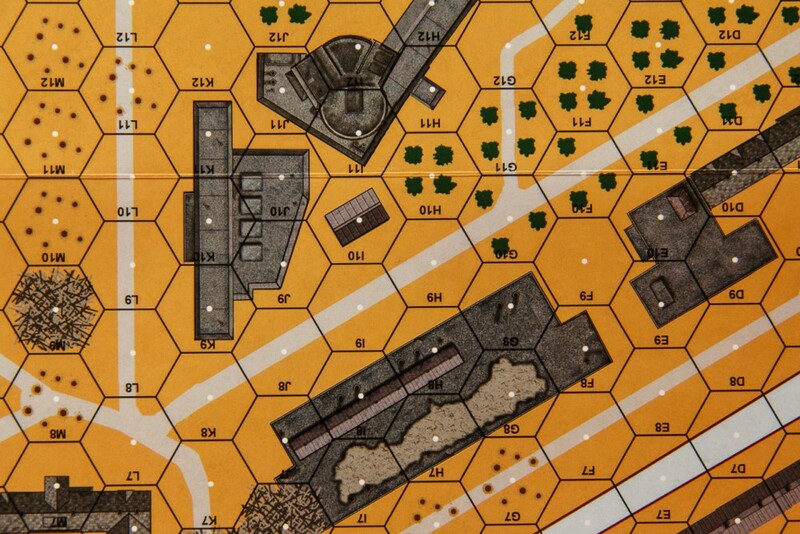 The third Berlin item in CHA2 are the “Berlin Geo” scenarios. CHA2 comes with 4 Gary Fortenberry-style 11″ x 16″ geoboards. Two of these, boards CC and DD are not typical geoboards but are essentially designed to mimic or resemble the artwork style of CH’s Berlin modules. This is a little bizarre and hard to explain, so stay with us here. 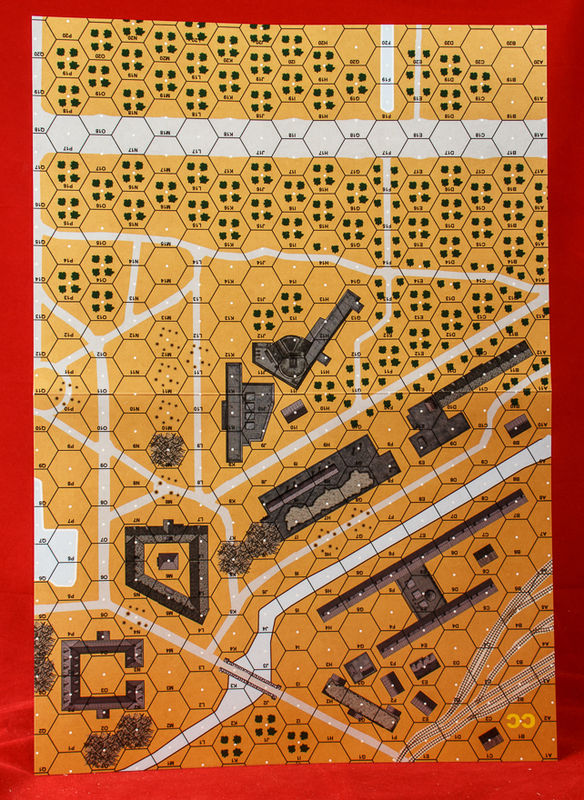 These two boards, which mate with each other (more or less) but not with any other boards, essentially take a portion of one of the Berlin 2 maps and sort of recreate that portion on the two geoboards. 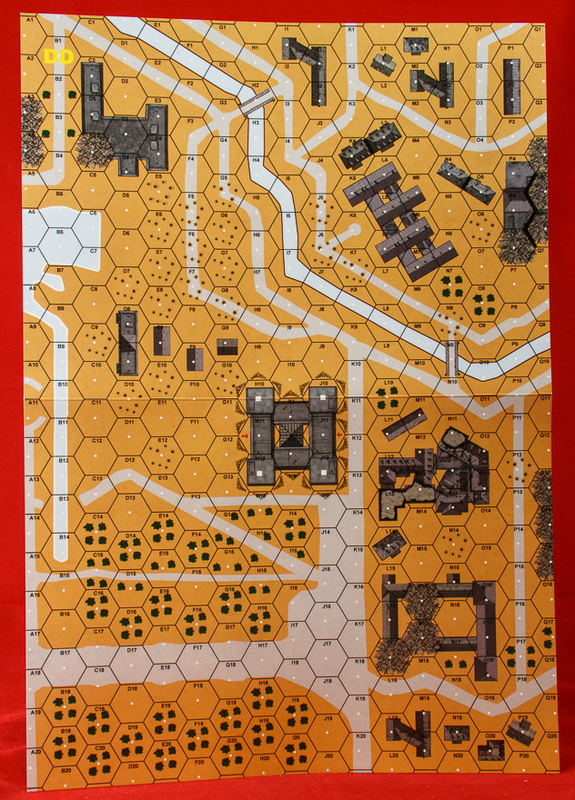 Note that this is NOT the artwork from the Berlin modules, nor does it actually reproduce that map area exactly–it is a sort of strange approximation of the art style and the terrain. So, for example, there is a prominent building on the Berlin map (the Reichstag building, actually) that is represented on map DD–only the map DD version is slightly smaller. Why? It is not at all clear. Some things on the map are the same size as in the originals but others are not. Of the Reichstag building, Ray Tapio writes: “Note that the geo-board rendition of this building is reduced, in keeping with the geo-approach to buildings in general.” What?? One cannot help but be reminded of the movie Spinal Tap, when members of the ban find that their requested recreation of Stonehenge is only a fraction of the intended size. 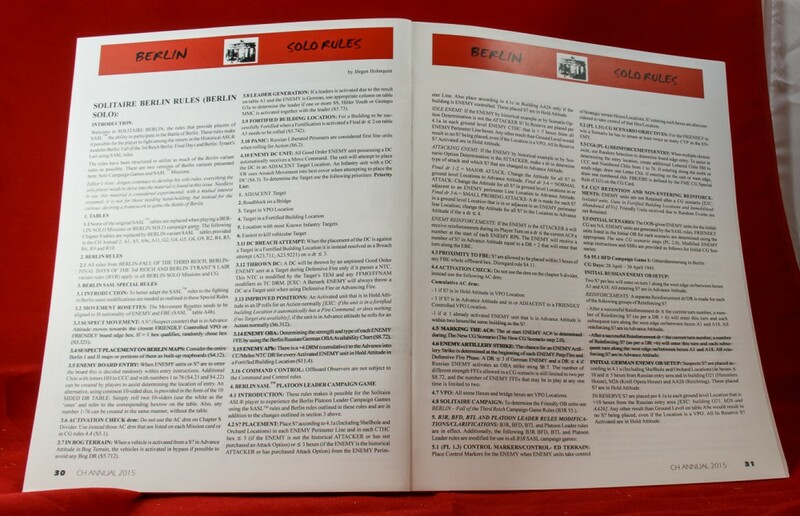 The “Geo Rules” are three pages of simplified Berlin rules so that players can play four included Berlin scenarios on the pseudo-Berlin geoboards. The scenarios, by the way, do not come on scenario cards, but must be photocopied, scanned, or cut out from the magazine itself. God only knows what sort of Frankensteins the scenarios are. For example, CHA13 (Fly the Red Banner) seems to be loosely based on the scenario Raise the Red Banner from Berlin: Fall of the Third Reich. It contains the exact same historical description and the OBs have a vague resemblance to each other. The other three scenarios seem similarly cobbled together. The whole thing certainly seems suspicious. 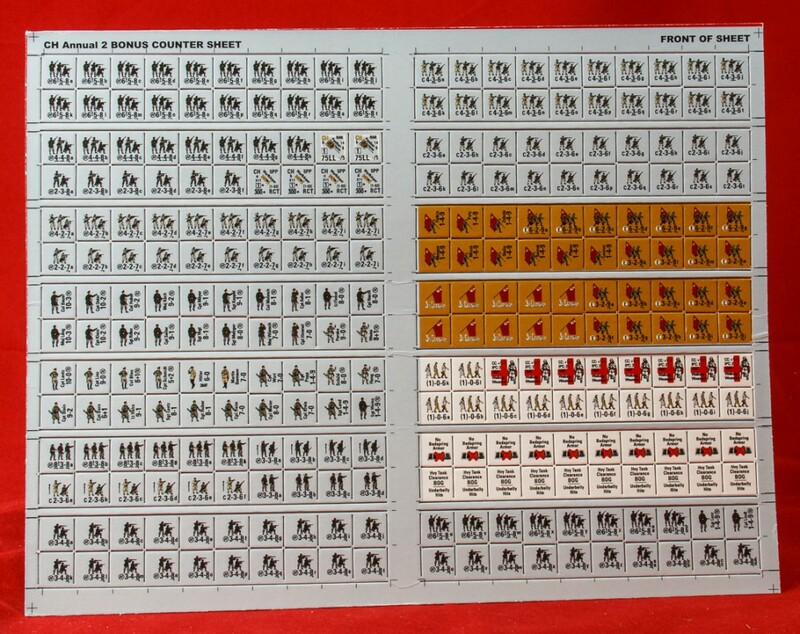 The included countersheet contains infantry counters for use with these four scenarios; these are counters that appeared in the Berlin modules, mostly duplicates of existing counters but with some new units as well. The other four scenarios included in CHA2, which use the other two geoboards, AA and BB, are Normandy scenarios. In an amazing bit of effrontery–but one that should not surprise anyone familiar with the, ahem, integrity of Critical Hit–some of these scenarios appear to be cribbed/stolen/plagiarized/borrowed (take your pick, depending on how charitable you are) from a previous publisher, the French magazine Tactiques. 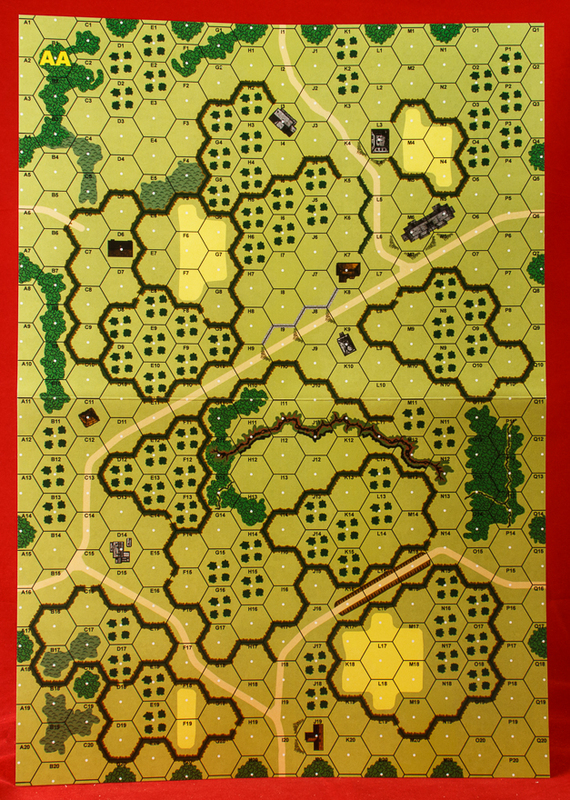 Scenario CHA14 (Purple Heart Road), for example, bears an uncanny resemblance to TAC47 (Roses for Vandervoort) in its OB, victory conditions, and even historical description. 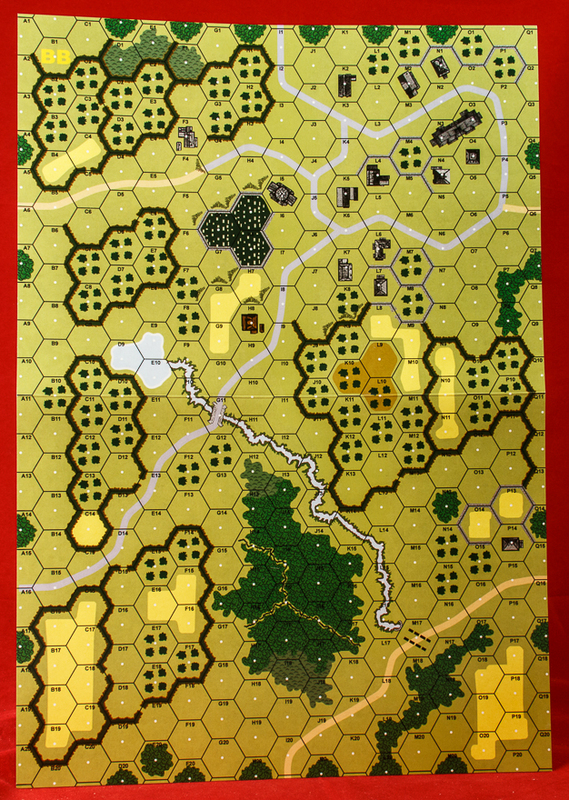 What are the odds that an American scenario designer would come up with a scenario so eerily similar to this older design published in France–but which has an English translation widely available on the web? Similarly, CHA15 (Fritz’s Escape) is a modified but still ripped-off version of TAC48 (Trapped). And CHA16 (Peregory’s Push) is nothing more than a transbobulated version of TAC58 (29 Let’s Go). It is not immediately clear if CHA16 (Hill 192) was similarly “re-imagined” from some previously published scenario or not, but, based on the other three, it would not be surprising if it were. One can almost imagine the gears clinking and clanking at Critical Hit. Why Tactiques? Well, it is long since defunct, and it is from France, so the odds of anybody suing are pretty low. Moreover, clink clank, someone translated those scenarios into English and put them on the web, clank clink, so what if it could be argued that they were now somehow “public domain.” Clank clink clank. Of course, the moral and ethical questions of appropriating someone else’s ideas and work does not seem to have been considered–as Critical Hit has demonstrated several other times in the recent past. For shame. For all of this mish-mash and questionable ethics, Critical Hit is trying to charge customers $79.95. For a magazine. For THIS magazine. This product gets a Desperation Morale CONSUMER ALERT. Mark – the Berlin material appears to be “based on” Coastal Fortress’ “To the Reichstag! Mini-Campaign” originally published by Tactiques and would fit the “theme” of the magazine.